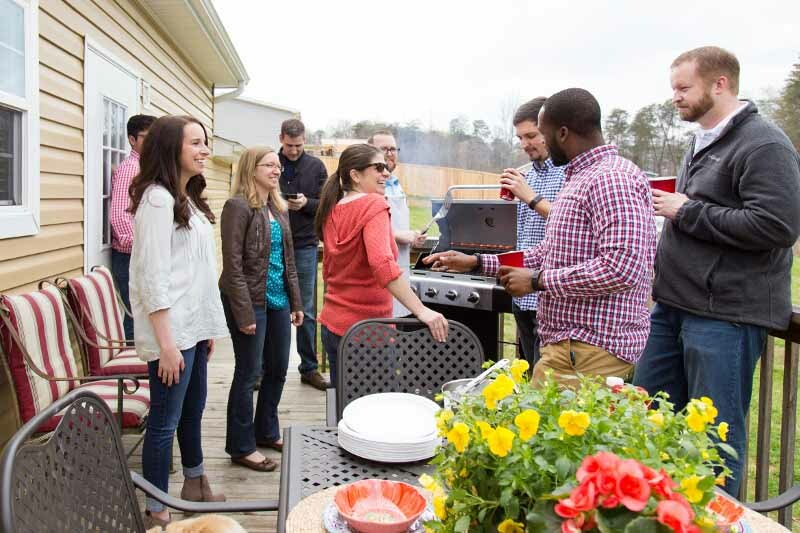 There's nothing quite like a cookout with your closest friends and family. When the weather's warm, thousands of families across the country enjoy grilling steaks, hot dogs, hamburgers and many other kinds of food at home. Unfortunately, grills can be an incident waiting to happen if the right precautions are not taken. According to the National Fire Protection Association each year an average of 8,900 home fires are caused by grilling. Keep your grill on an open, level surface away from your home, any other structure with an overhang and any outdoor decor such as furniture or umbrellas. Something catching fire because it was too close to the grill was the leading factor of 17% of grill fires in 2014. Avoid placing your grill underneath a tree. Regularly clean your grill and the tray below it to prevent fat and grease from building up. Have a spray bottle full of water handy for minor flares. Place a fire extinguisher nearby. Always be aware of children and pets in the grilling area. Wear appropriate clothing while grilling - nothing you wear should hang over the grill. Remember, your grill could still be hot after you're finished cooking, so it's important that everyone around the grilling area is aware of that and takes the proper precautions. 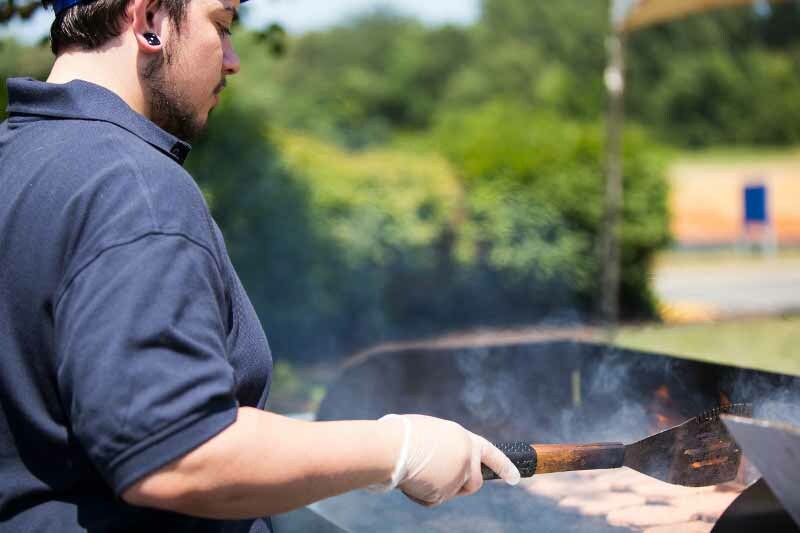 Additionally, charcoal and gas grills each have unique safety precautions. Before using, check your grill for damage or open areas that might allow coal to fall out of the grill. Be aware of the different methods of starting your grill which may include charcoal starter fluid, a charcoal chimney starter or an electric charcoal starter. Never add starter fluid to coal that has already been lit. Add more coal if needed, but avoid adding liquid fuel to a lit grill. After you're finished grilling, let the coals completely cool before disposing in a metal container. Store your gas grill and propane tank outside, away from your home. Refrain from turning on the gas while the grill lid is closed. If the flame goes out while you're using it, turn the grill and the gas off, then wait at least 15 minutes before relighting it. If you smell gas while the grill is on, turn off the gas tank and the burners. If the smell continues, move away from the grill and call the fire department immediately. Completely close the gas valve on the tank when you're done grilling. Help prevent an accident from happening and preserve your family's safety by being prepared. Take the correct precautions to protect your family and your home with home fire safety tips and more homeownership advice.